Welcome to the website of the Central Virginia Soccer Association. This site is updated perpetually and will contain current schedules, standings, and other happenings in the league. The Central Virginia Soccer Association (CVSA) is a non-profit, adult soccer league headquartered in Richmond, Virginia. Games are played at various sites in the city of Richmond, as well as Hanover, Henrico & Chesterfield Counties. This fall, the league enters its 44th year of operation, having started play in the Fall of 1975, and is the oldest and most competitive in the Richmond Metropolitan Area. The CVSA is sanctioned by the United States Soccer Federation (USSF) and the United States Adult Soccer Association (USASA) through its membership in the Metro D. C. - Virginia Soccer Association (MDCVSA), with whom it participates in U. S. Open Cup, USASA National Cup and MDCVSA State & Challenge Cup tournaments. The CVSA hosted the MDCVSA State Championships at the Bryan Park Soccer Complex from 2000-2005, and continues to be an integral part of the maintenance and development of that facility. Currently the Fall '18 season is aropund the corner! In general, "11-a-side" competition runs during two seasons: the Spring season typically runs from February to June; the Fall season typically runs from September to December. The summers feature "7-a-side" competition. WORKERS OF THE WORLD, UNITE!, PART III For the first time in the CVSA's hsitory, both of the defending cup champions met in the CVSA Cup Final, as holders Partizan Richmond FC defeated Copa Bruce holders Absolute B.C. 2:0 on Saturday, July 14 at the Bryan Park Soccer Complex, in a full replay of the match that was rained out at City Stadium on June 2. These teams, who take their names and inspiration from failed Eastern European communist regimes, continue to lead the way in cup competition. Before the afternoon deluge on June 2, The Strongs defeated Richmond is for Haters 2:1 at City Stadium to take the Copa Bruce title. The Strongs have had nothing but success, having won three division titles and one cup title since entering the CVSA in Spring '17; will these men of strength ever be stopped? All of the details of the tournament are available on the CVSA Cup page of the CVSA website. Third (MW White Division): Absolute B.C. 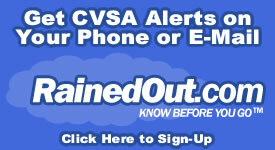 Sign up to get CVSA Alerts sent directly to your cell phone or e-mail! Find out about game cancellations and CVSA events instantly thanks to this new feature. 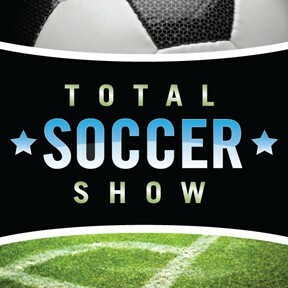 The Total Soccer Show is produced by CVSA players Laura Coutts, Taylor Rockwell, Daryl Grove, Josh Stankus, Peyton Siddall and Ryan Heins. Click here to check out their Facebook page!